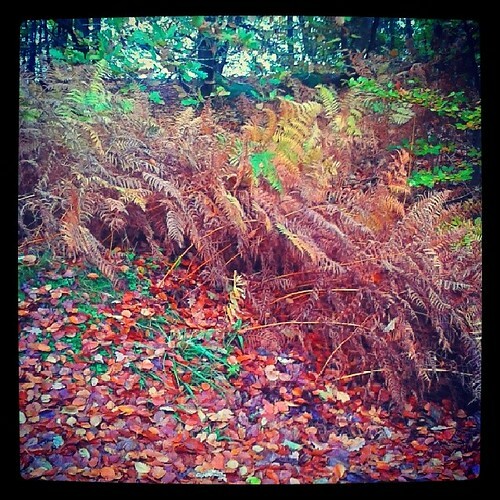 Autumn ferns, a photo by PhylB on Flickr. I've always had a bit of a thing about ferns. My granny had a fern in her garden when I was a child and I used to sit and watch, fascinated, as it uncurled and reached out its arms. It seemed almost animal-like rather than plant-like to me. I think if I'd a big garden, like the one in the house where Thomas grew up, I'd have my own wee corner of ferns that I could watch and photograph all spring, summer and autumn.